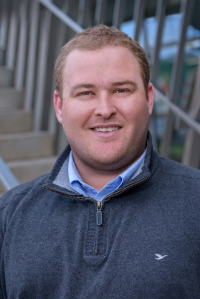 The New Zealand Institute of Building (NZIOB) has appointed James Reed to a newly-created role of Young Practitioner Adviser on the NZIOB National Council. NZIOB National President Graeme Birkhead said, “Like many professional membership organisations, the NZIOB is constantly challenged with ensuring its membership and activities are relevant and responsive to younger people who are now developing their careers within the construction industry. James is a graduate of Unitec (Bachelor of Construction Management) and has spent his career to date with Dominion Constructors, where he currently holds the role of Project Director. James is well known to the NZIOB, being a member of the Institute and the winner of an Excellence Award in the Young Achiever category at the NZIOB’s annual awards programme in 2017. With the calibre of candidates applying for this new national role being so high, the NZIOB’s Chapter Presidents have accepted the Appointment Committee's suggestion that short-listed candidates be offered Young Practitioner Adviser roles on the regional Chapter Boards. James Reed says, “I am excited to have been elected as the NZIOB’s first Young Practitioner Adviser. NZIOB has an important role to play promoting our industry, providing advocacy to ensure our voice is heard, and in supporting members and non-members to develop knowledge and skills not always found elsewhere. Original generation time 1.7700 seconds. Cache Loaded in: 0.0876 seconds.